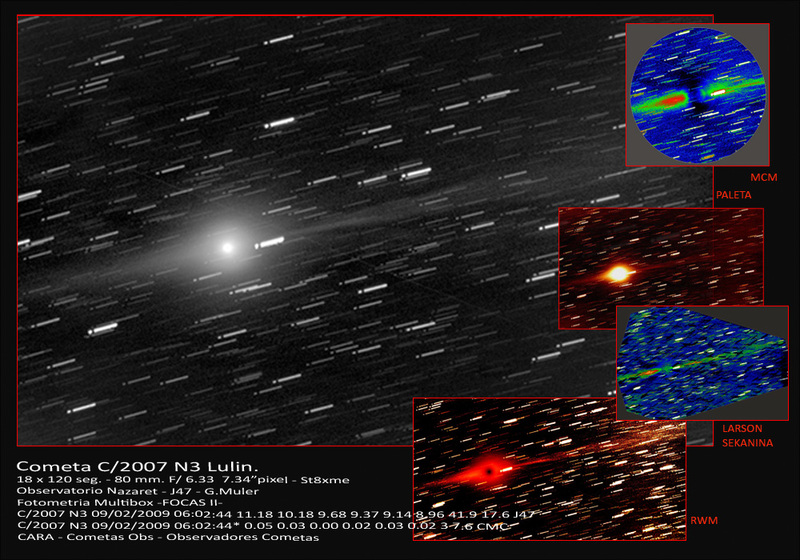 Lulin's ion tail excites astrophotographers - and first naked-eye sightings around 6,0 mag. 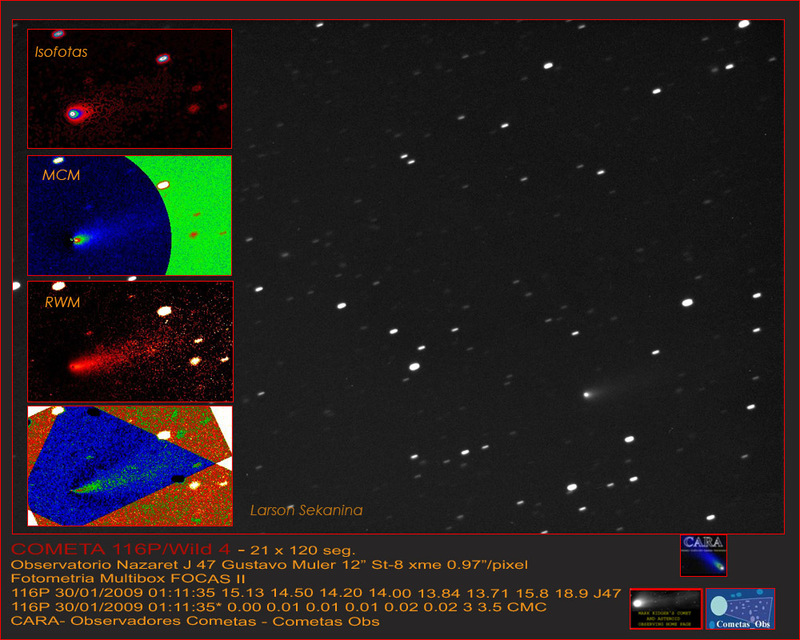 Just before the Moon began to spoil the view for the next 10 days or so, the comet Lulin show really got exciting: its faint ion tail, which has reached some 2° in length, is experiencing fast and complex effects in the solar wind confusing inexperienced observers (though perfectly normal, which includes a major disconnection event on Feb. 4) while the comet's coma - now estimated around 6,0 mag. - has been sighted occasionally with the naked eye in recent days, e.g. in Texas and India. 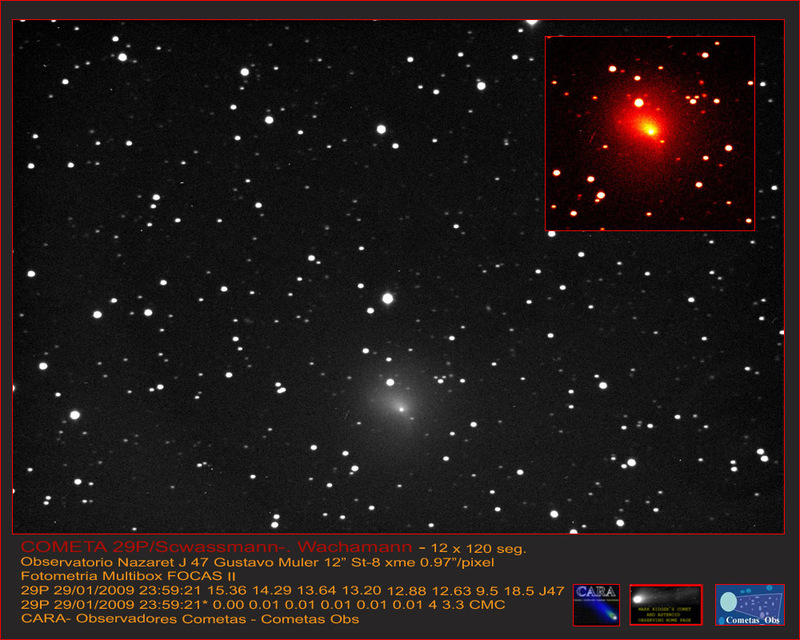 The picture collections like this, this and this are growing; here are selected images and reports from Feb. 7 (pic, vis), Feb. 6 (pic w/long tail, pic, vis, vis), Feb. 5 (pic at Alpha Librae, pic from here, pic, pic, pics, widefield pic, vis), Feb. 4 (pics with the with DE, dito and Feb. 4 vs. Jan. 31 pics), Feb. 3 (pics, pic, pic, vis w/naked-eye averted), Feb. 2 (pic w/tail effects, pic, widfield pic at dawn) and Feb. 1 (pic, pic, pic described here) plus more Lulin articles here, here, here, here and here. 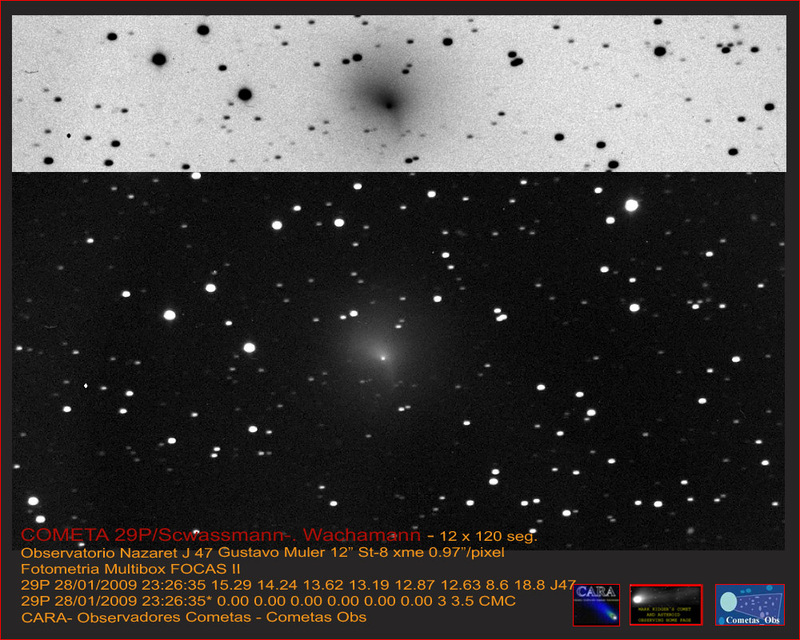 • More interesting comet pictures show 77P "facing" two galaxies and 144P in the Hyades on Feb. 2 and Jan. 31, described here. In other news there will be a transit of Titan on Saturn's disk in the night Feb. 8/9 visible e.g. in Oz; here is an animation of an earlier such event, also seen from down under. Meanwhile the rings have opened a bit again as beautiful images from Feb. 4 (another one, explained here) and Feb. 3 (another one; no data) show. 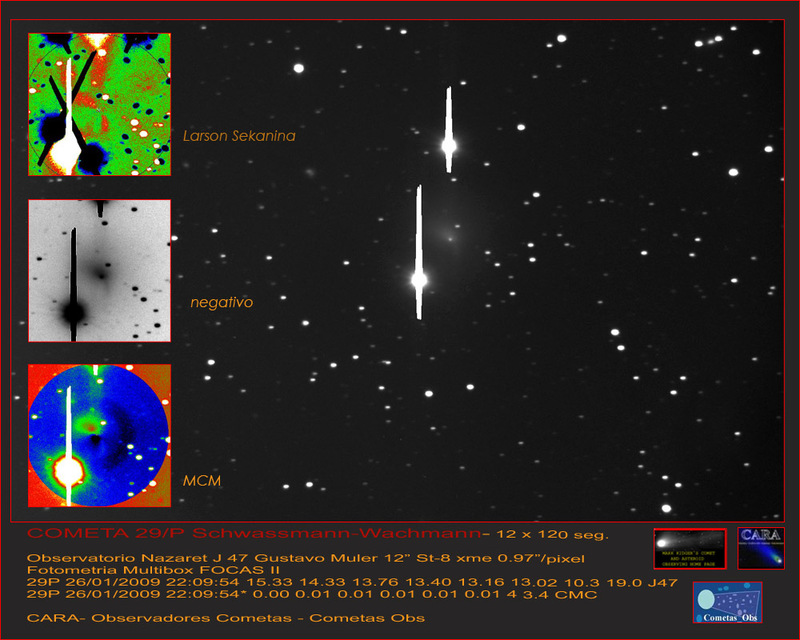 And an amateur has used the almost edge-on view to image Calypso, a small satellite of Saturn! • Amateurs were also involved in observations of a stellar occultaton by Titania of Uranus long ago. • And bright evening "star" Venus is causing UFO alerts around the world. • The penumbral lunar eclipse on Feb. 9/10 following the annular spectacular will mainly be an Asian/Oceanian event with nothing to see e.g. in Germany where it's being discussed nonetheless. So how about Clavius at 200 m/pxl?! 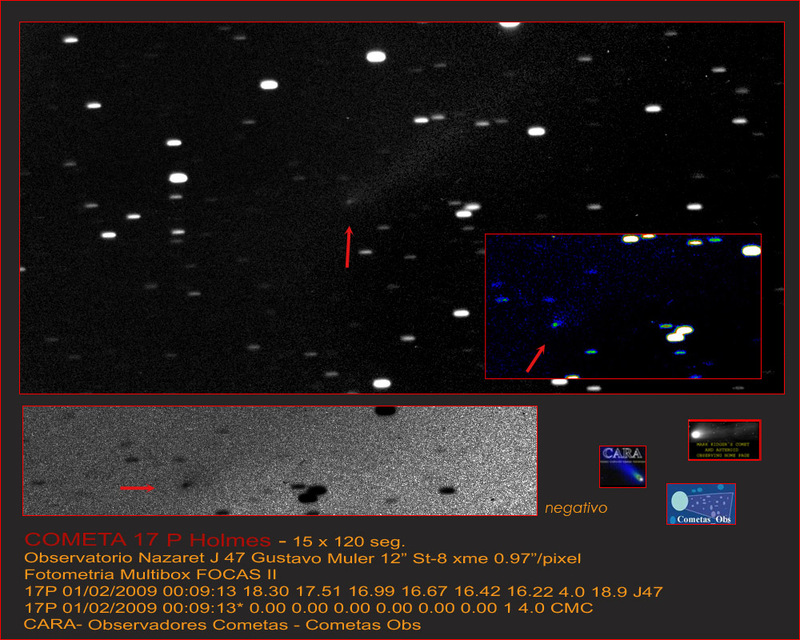 • Several asteroid sizes have been measured by optical interferometry while a new PHA isn't exactly hazardous: According to the first orbit it has a mere impact probability of < 1 in 100 million in 2046. Feb. 9: Penumbral lunar eclipse, visible mainly in Asia and the Western U.S.
Feb. 16 til March 3 (in particular Feb. 19 til 28): Best viewing window for comet Lulin - brightest and no Moon. Feb. 17: The Dawn spacecraft flies by Mars, will take some pictures for calibration purposes. Feb. 17: Mars and Jupiter only 0.8° apart in the morning sky. Feb. 19 or 20: Venus reaches largest brilliance, -4.6 to -4,8 mag. Feb. 22 and 23: Moon close to Mars, Jupiter and Mercury. Feb. 23/24: Lulin (moderately) close to Saturn. Feb. 24: Mercury, Mars & Jupiter closest together, in a 4° circle at dawn. Feb. 25: Ceres in opposition, should reach 6.9 mag. Feb. 27: Closer Venus-Moon conjunction than in January. Feb. 28: Lulin close to Regulus. 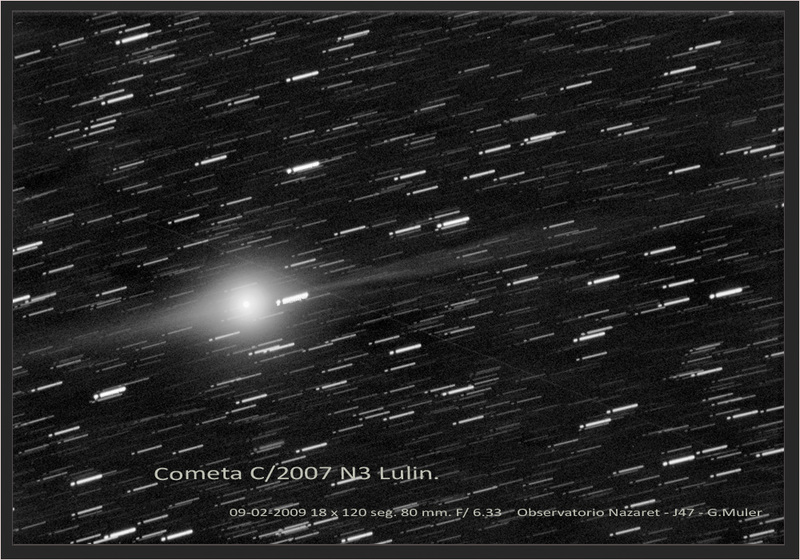 A good - but inconvenient - viewing window for comet Lulin (in the hours before dawn) is now underway, surely the best comet in February: The picture collections are growing and visual brightness estimates - still the best method for overall activity judgement - put it at ~6.5 in late January/Feb. 1st. 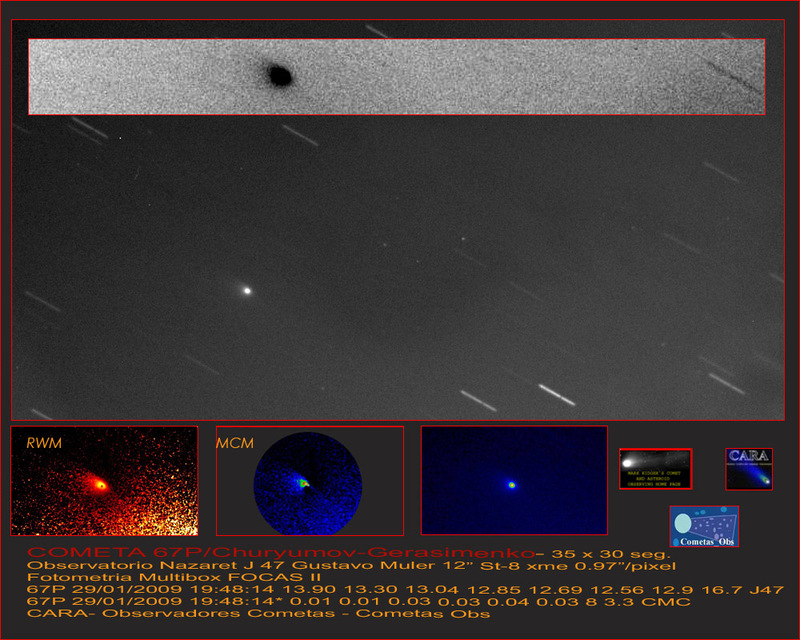 Here are a visual observation of Feb. 1, a visual report by its discoverer and a mosaic of Jan. 31, a highly processed picture (from here), an animation and another discoverer's observation (his first visual ever) of Jan. 30, a drawing of Jan. 28, a visual obs. of Jan. 27, a picture and another one of Jan. 26, a picture & report of Jan. 24, a drawing and another one of Jan. 23 and a picture of Jan. 21. Meanwhile the science media have woken up, with more or less long articles here, here, here and here. 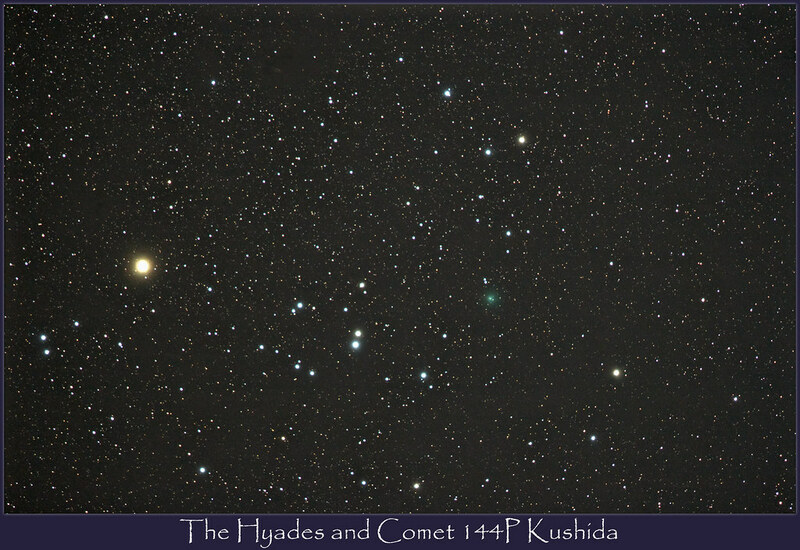 • More comet pictures: 29P on Jan. 29, 28, 26, 25, 23 and 22, 144P on Jan. 26 and 25 (at the Hyades! 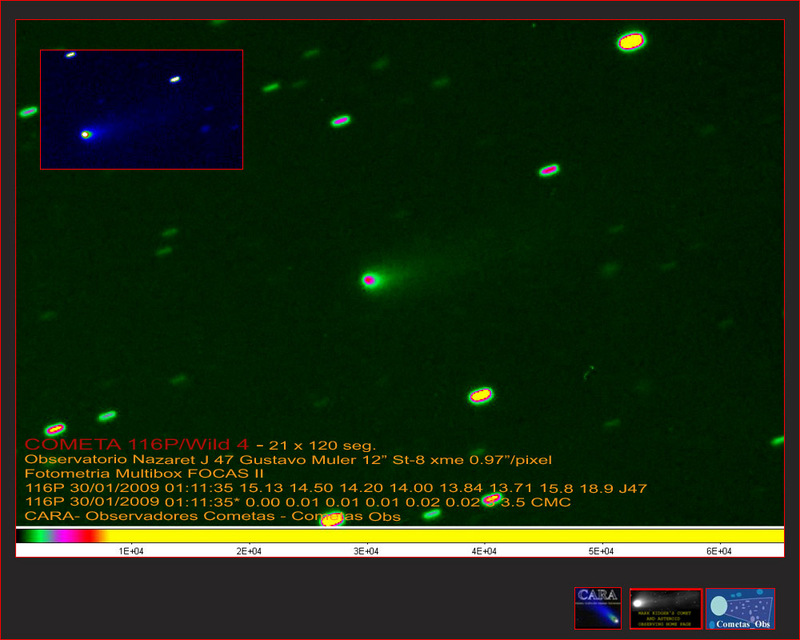 ), 67P on Jan. 29 and 25 and 116P (more), 17P, 19P and C/2006 OF2. • From the famous bolide of Jan. 17 little more has been heard.